Authoring tool, in simple terms, is a software used by digital publishers to create their eBooks and eLearning materials. Basically, the tool allows the addition of hypertext and multimedia applications by linking together text, illustrations etc., to make the content more engaging, relevant and immersive. 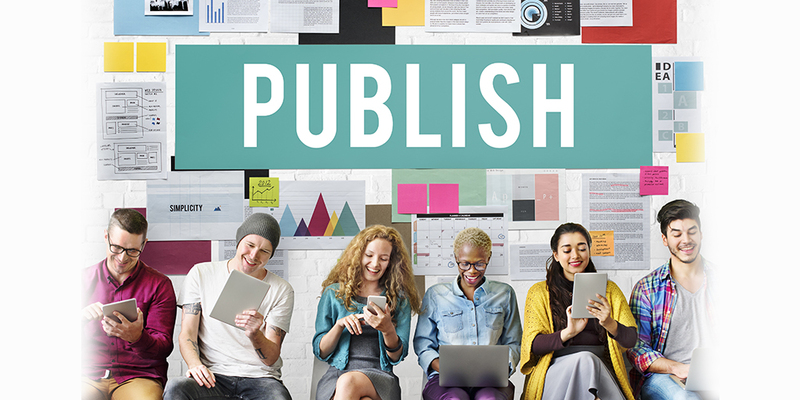 Publishers can also sequence the content in an appropriate order, update their courses, and collaborate with other members of their team while creating the final product. The advantage of using the tool is that digital publishers can achieve full control of the content they produce, without the need for technical skills or high investment in creating their own tool. Besides, they also stand to benefit in terms of time, effort and money since the authoring tool gives you complete control on how they create, host and distribute content. How to Choose the Right Authoring Tool? The following pointers can help you choose an authoring tool that is just right for your digital content needs. Choose a tool that is simple-to-use, yet has all the features you need to create effective eBook content. For example, a choice of templates, and drag-and-drop functionality that allows you to add images, graphics, videos and also third-party content like animations and Google Maps etc. You may wish to update or rebrand your content in the long-run. To avoid redesigning your entire library of e-courses, ensure the authoring tool that you use has customization features that allow you to update your existing courses with a few clicks. Building an effective eLearning course requires team effort. If the team members are located in different geographies, it is important that the authoring tool provides collaboration tools to work together. They can review processes, take feedback, and share expertise remotely, to create a product that stands apart for its quality. To reach a global audience, you may wish to present your content in different languages. Bearing this in mind, choose an authoring tool that has the language option to convert the content into multiple languages. Choose an authoring tool that has in-built measuring and analytics features to allow you to view reports and analyse data to understand how many times your content is downloaded, and on which device type and geography. Insights such as these can further help you improve your content. Remember that while using an authoring tool does help you save money in that you don’t have to invest heavily in-house resources, both human and IT infrastructure, you will still have to pay a fee to use an authoring tool. Therefore, it is imperative to make a wise and informed choice. If you are still unsure of which tool to use, you may want to consider Kitaboo authoring tool, a cloud-based authoring solution offered by Hurix Digital. Kitaboo is an award-winning proprietary software trusted by leading publishers in the industry. Offering a wide range of templates, drag-and-drop widgets, instant preview features and an HTML5 responsive output, Kitaboo authoring tool can help you script the perfect eBook content.